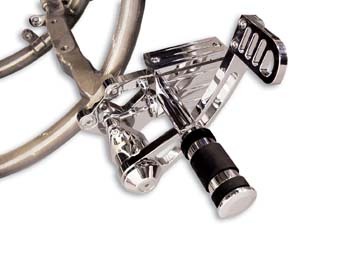 Chrome billet 2" extended forward control kit features a 3/4" master cylinder bore. Includes left and right sides complete with master cylinder and rubber belted pegs. 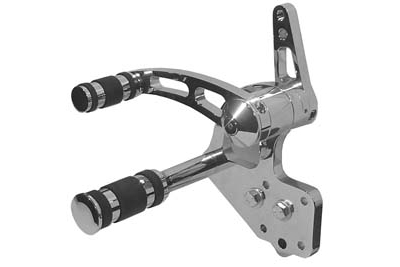 Order shifter rod and stainless steel brake line separately. The mount hole spacing measures 2" on brake side and 1-1/4" on shift side. **NOTE: When installing extended forward controls on a motorcycle, make sure all clearances are checked.